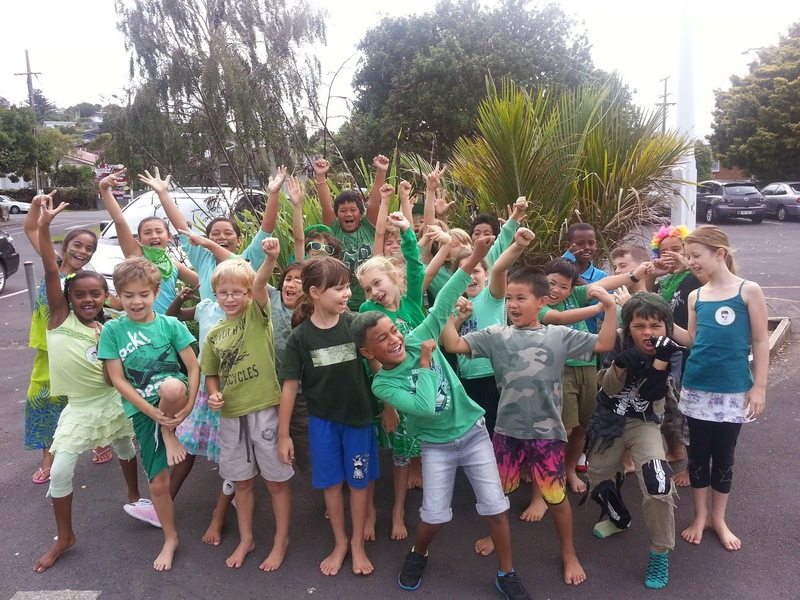 Friday was Green Day at Owairaka. We all dressed in green and spent time outside tidying up our special area. This year Room 21 is responsible for the flagpole garden. Here is a picture of us in front of the flagpole garden. We are going to find out what sort of plants are in this garden and when the flagpole was first built. Room 6 and 19 performed an awesome Green Day Assembly. Here is the catchy song that they shared with us. We think the message is very important for everyone. Hope you enjoy it as much as Room 21 did. Hi I love listening to this song! From Fiona!!!!!!!!!! !